The Harte, MB grain elevator, May 2014. Contributed by Steve Boyko. 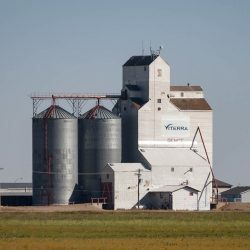 The Harte grain elevator is located along the CN Rivers subdivision at mile 107.8. 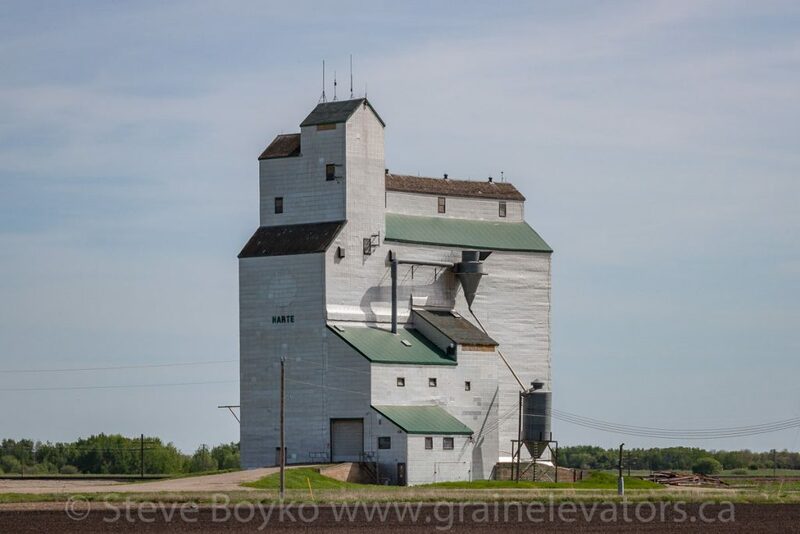 The elevator is a former Manitoba Pool elevator, and is currently owned by Mid-Man Farms, a nearby farm. This is an active elevator. 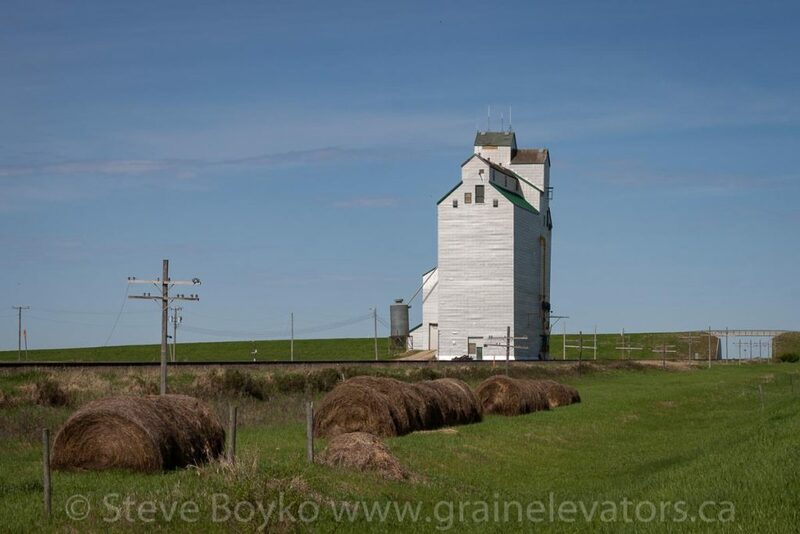 Grain elevator in Harte, MB, May 2014. Contributed by Steve Boyko. 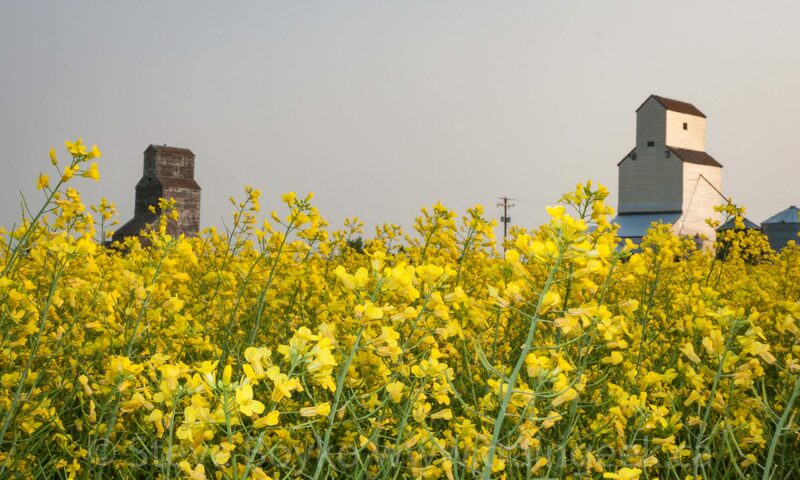 Note the large dust collectors and the enclosed head house across the annex.